Like the proverbial London bus, we have not one but two Making Tracks projects coming up this summer. 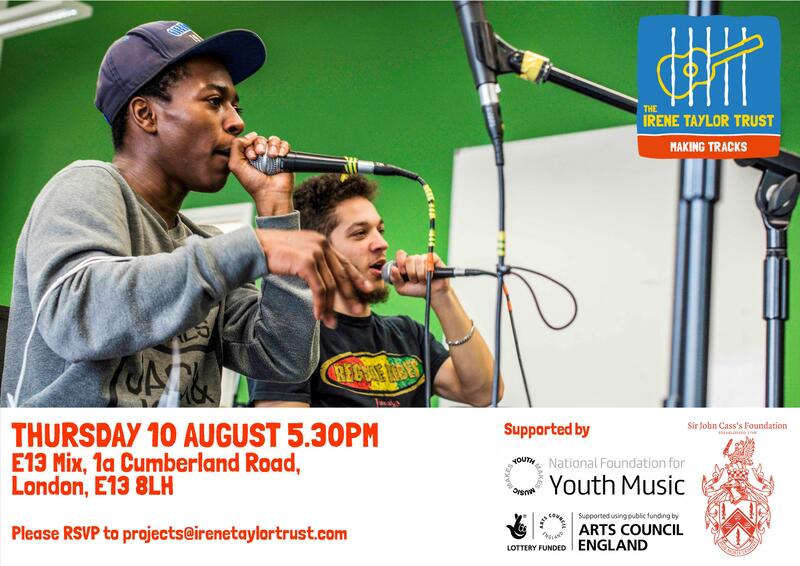 Please join us to celebrate the achievements of the young people at these free live music events. 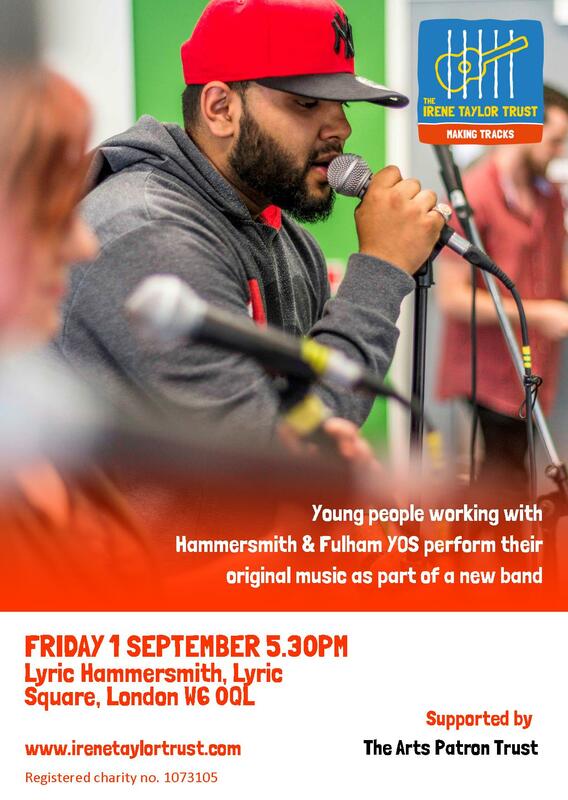 We’re excited to be taking our Making Tracks programme back to East London for our 2nd project with Newham YOT, and for the first time to West London for a project with Cobbs Hall, Hammersmith & Fulham YOS. The projects will include live performances and we’d love for you to join us to enjoy the original music written and played by the young people.